I heard this tip from BEC of Mygorgeouspinkcheeks. 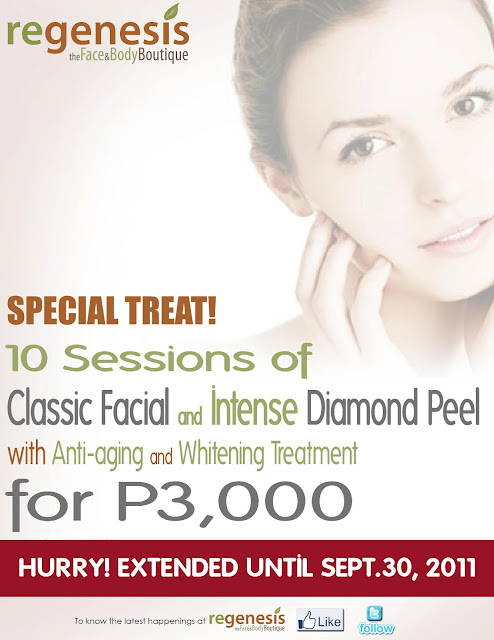 I have not tried any facial treatments nor cleaning yet so if ever I’ll take this chance, it’ll be my very first! We are open from Monday to Saturday 10am to 8pm. Im currently: Annoyed as I had to post this twice as I have saved my wrong draft. Arggh~ Im turning green. LOL. Thanks sweetie for linking me up in your post! Followed your blog too. Welcome to the beauty blogsphere!